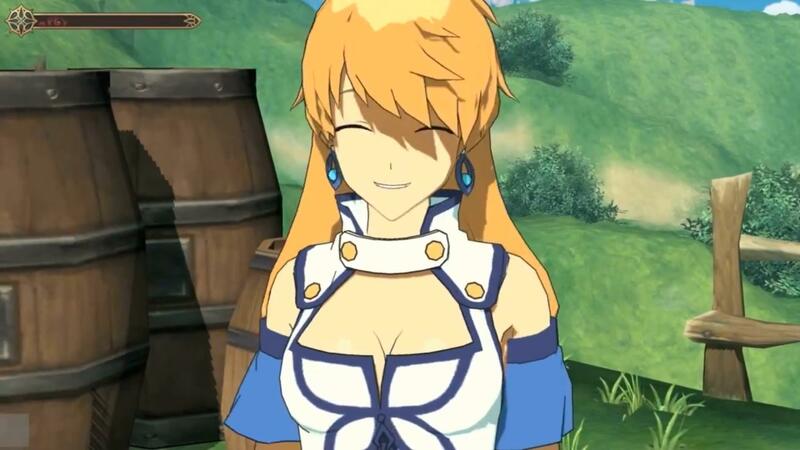 The moment that Peria Chronicles was announced, I felt overwhelmed by its promises and ambition. It looked too good to be true, and it had more depth than most MMOs combined. For once, it didn’t feel like a case of a studio biting off more than it could chew; there was a sense of genuine, almost palpable excitement, in ways that very few games ever manage to convey. But real life had to come barging in – obviously. Peria Chronicles was every anime fan’s dream come true, served with a sizeable dose of sandbox MMORPG goodness on the side. Here is a game that doesn’t shy away from customizable terrain and town building with a player-based social and economic system to support those towns. Moreover, you could use the built-in editor to create your own contraptions, ranging from simple door mechanisms to gigantic and fully functional Tetris machines. The comparisons to Minecraft aren’t overstated, but this was a block-less, brave new world just waiting for your mouse pointer. But wait, there’s more! Besides generating your own quests and dungeons, you could collect these creatures called Kirana – let’s just say that they are the Pokémon of Peria Chronicles. This leads to the combat part of the game where you control your character and summon your Kirana to attack, pretty much in a collectible card game kind of way. Apart from the fact that this was set in an actual 3D battlefield, filled to the brim with visual effects and all kinds of flourishes. And it was so beautiful! The artistic anime style was so inspired, sometimes very reminiscent of The Legend of Zelda: Breath of the Wild, only more medieval-fantasy inspired. In hindsight, Peria Chronicles just seems too far-reaching in its scope, perhaps even beyond what can possibly be done by most current developers, bar one or two exceptions – but I’m not naming names. While developer ThingSoft has the support and financial backing of South Korean giant Nexon, such a game either comes from the minds of indisputable development geniuses or utterly naïve designers. Showing too much ambition can be a double-edged sword, and I’m categorically certain that Sony Online would agree with me on this, as they have the EverQuest Next code remnants sitting somewhere in a dusty server room to prove it. After its hyped G-Star 2016 showing, Peria Chronicles has missed the two following editions of the Korean game show. In the meantime, a few official reports popped up mentioning “unexpected challenges” and “obstacles” that the team had to face, and fortunately surpassed. It was no easy task for sure but given the feature-packed nature of such a game and, to some extent, its revolutionary core, there was a strong possibility that these challenges would arise. From alluring concept to big question mark, Peria Chronicles is now emanating this deafening silence, as if those obstacles have turned into insurmountable tasks. When something of this ilk happens, it is usually a sign that one of two things is happening: either the game is going through a reboot or streamlining process, or it is purely going to be quietly abandoned on the grounds of unsurpassable technical difficulties. As a huge fan of MMOs and particularly of those where I can spend most of my time tending to things and exploring the locations instead of fighting, I could see myself spending quite some time in Peria Chronicles’ charming and customizable world. Building intricate homes, sculpting and moulding the terrain, and collecting Kirana and throwing them at whatever got in my way, if the combat system was up to scratch. Through the years, I’ve grown weary of game announcements that seem to tick all the right boxes, and then some. Peria Chronicles may be one more in a long line of games that fail to fulfill their promises, which ultimately begs the following question: are we, the players, asking too much, or are the developers simply aiming for more than they can possibly deliver? In this specific case, we’ll probably know in a couple of years, when Peria Chronicles launches to much fanfare/is officially canceled (delete as appropriate).